Archchancellor Gwydion Ambrosius has sent for you, personally. He asks you to accompany a senior reader of the University of Scarthey on a journey through dangerous lands. Gwydion fears for the old wizard, whose frayed mind has suffered through the study of dark arts. Can you protect the wizard, your companions, and the wagon train you’re traveling with, or will darkness consume you all? 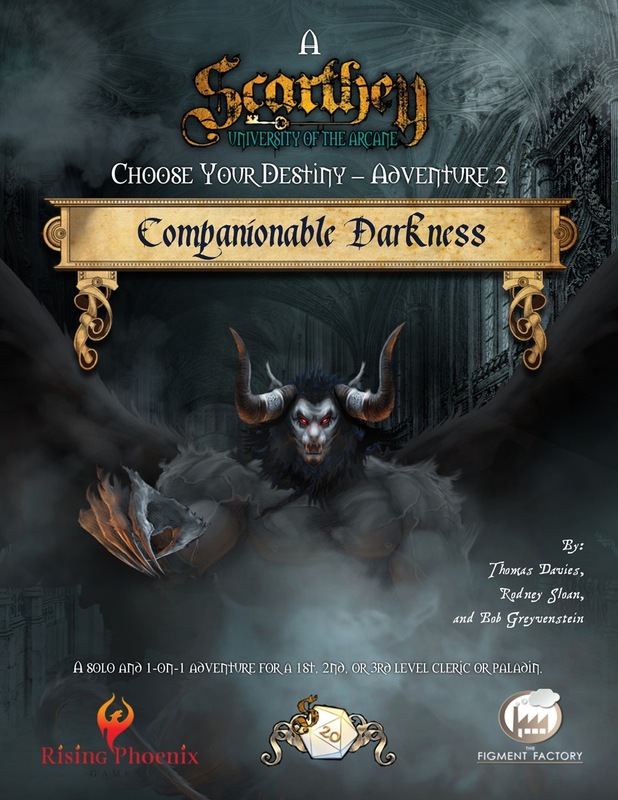 Companionable Darkness is the third adventure in the Choose Your Destiny series of solo / 1-on-1 adventures. Look out for more adventures coming soon. 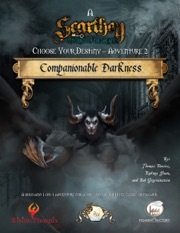 Sign in to start a discussion about Companionable Darkness PDF!